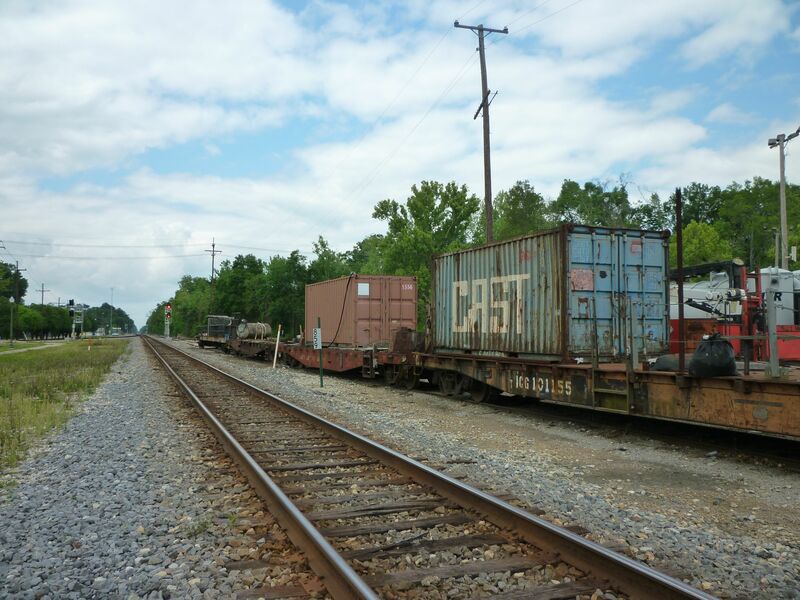 Rails (2011) was inspired by the soundscape of Hammond, Louisiana. More specifically, it engages the sounds that I have heard on a daily basis since moving from Champaign, Illinois, to Hammond, Louisiana in August 2010. My apartment is two blocks away from two intersecting railroad tracks. One is the Illinois Central line, which runs from Chicago to New Orleans, the other is a freight track. Intermittently all day (and all night) I hear trains approaching and passing from different directions. These trains are too loud to simply ignore, and often it feels like there is a low-level earthquake shaking the apartment. The conductors of these trains tend to lay on the horn as they are passing through town, creating a long and varied sound as the train whistles are warped by their own mechanism, the atmosphere, and by speed and distance. Additionally, each of these trains has its own unique rhythmic profile, its own pattern of creaks, clicks and knocks, and its own speed. Each time a train passes; a unique sonic experience is created. Therefore, the sounds of these trains are very much a part of my piece, the spectra of their whistles, the rush of sound when they pass by, and their creaky mechanical rhythms. My apartment looks out over a park, so my piece is also populated by pastoral sounds such as birds and wind chimes.